Complex games often require a little more thought or a few more plays to wrap your head around. Nonetheless, there are complex games that can be a great experience for casual or family play. Blogger Keith Medlin was kind enough to contribute his thoughts on complex games. Two popular threads in the wargames forum on BoardGameGeek right now are about wargames than can be played in less than 1 hour. Generally, though certainly not always, shorter games can mean less complexity. The other thread is looking to put a page limit on the rules for a wargame. Again, fewer pages doesn't guarantee less complexity, but it often facilitates it. So, before I begin...what is complexity? 1. The state or quality of being intricate or complicated. 2. A factor involved in a complicated process or situation. By these definitions Chess most certainly is complex. Not because it is intricate, but because of the factors involved in the process and situations that the game presents. Mage Knight is complex for the opposite reason. The rules are intricate, but the problem-solving doesn't offer the same level of complication or situational evaluation. Dominion, on the other hand, is not. The process for the game is relatively simplistic, though more than 4 players and the strategy ratchets up a bit. The puzzles aren't difficult to resolve for it either. So, does complexity mean success or that a game is "good?" Absolutely not. Rather than extol the virtues of complex games on individual terms, it's important here to talk about the processes that go into playing distinctly complex games versus less complex ones. There is a strong case for complexity because it helps support problem solving, deduction, and cognitive reasoning. First, let me say that I love non-complex games. Lost Cities is a great way to spend time with a loved one or friend. Ticket to Ride brings families together and gives an great introductory train game for kids of all ages who are into trains. There's nothing inherently wrong with easy to play, learn, and solve games. They provide incredible fun and allow players to enjoy the social aspects in the forefront of the in-game experience. It's lovely. Complexity, however, is something designers and gamers shouldn't shy away from in any way! 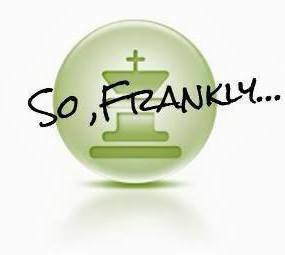 Complexity offers a new set of challenges, depth, and (as the definition says) intricacy. It's often in these nooks & crannies that we find some powerful cognitive abilities. Stroking those through practice is a great way to give yourself the mental workout you deserve! Keep that spongy thing between ears in tip top shape. In fact, gaming decreases your chances for long term cognitive impairment according to the peer reviewed Neurology magazine ( http://www.neurology.org/content/66/6/911.short). Fernand Gobet, Alexander J. 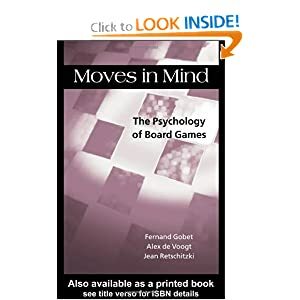 De Voogt, & Jean Retschitzki identified two types of complexity in board games in their 2004 book, Moves In Mind: The Psychology Of Board Games. Mutational Complexity - This relates to how a player evaluates the given board state and the effects that moves will have on the changes that are made. This is particularly evident when there are many moving pieces or multiple sources and levels of information necessary to calculate with each move. When I think about this, I think about the armor rules in Advanced Squad Leader. Not only am I determining the motion state of the vehicle, but also the facing of the turret, the vehicle's covered arc, the weight of the vehicle and what terrain on which I can move, the speed I can move, the effects of the potentially dozen units that are observing that move and what armament they have which can be brought to bear on me as well as the goal for my move. Each move I make with that tank can totally reshape the board state. This is true if successful or if I turn into a burning wreck because now I have smoke, fire, and defensive cover potentially. Computational Complexity - This has to do with the relative game state with relation to it's end, how many "moves" must be considered in a branching state, and what their effects may have on the overall progress toward the goal. Chess is handy here. When evaluating moves in chess you're thinking ahead not 1 or 2 steps, but rather 4 or 5 for an average level player. You need to consider HOW the pieces will move in order to achieve your given strategy. This is particularly true in the opening where both players are computing the probabilities involved in a variety of openings and responses that will shape the mid-game. So what do we benefit from these skills? Simply put, these are skills that can be applied across domains. Working through problems in your career can be aided by considering how the different components of game cognition are applied in your complex career. While not everyone is trying to solve the world's problems, there are definitely stressful situations and complexity that arise at all workplace environments. 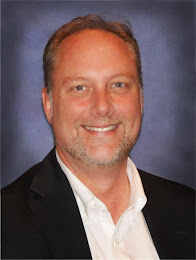 Whether it's the lunch rush at McDonald's or trying to negotiate a contract with a vendor, understanding how you can approach the situation using strategies you may have honed in a game of Go is handy! Should you run out and try to tackle The Campaign for North Africa? Absolutely not! I am suggesting...strongly...that you consider adding more complex games into your rotation if you're not already doing so because of the scientific benefits for your mind.